We took a flight from Hamilton Airport into Halifax Airport which was SO FAST AND EASY. 1.5 hour flight! Loved it. When we landed, we were greeted by the friendliest woman at Hertz, where we picked up our rental car. From the Airport, we headed into Halifax, which was about 40 minutes by car. We stopped at East of Grafton Tavern (on Argyle St. which is the street in Halifax with the most dining options/ bars) for a late night dinner and it was fabulous. Would definitely recommend. The ambiance is very rustic and Victorian, with exposed-brick walls. My wine was served in a Goblet! So cool. The restaurant claims to add a “creative take on classic comfort foods”, which I agree with. For my dinner, I had pasta with pistachio pesto, oyster mushrooms, Ciro’s Asiago, and an egg yolk (raw). I was nervous about the egg yolk, however IT WAS FANTASTIC. I definitely recommend you check out this restaurant. 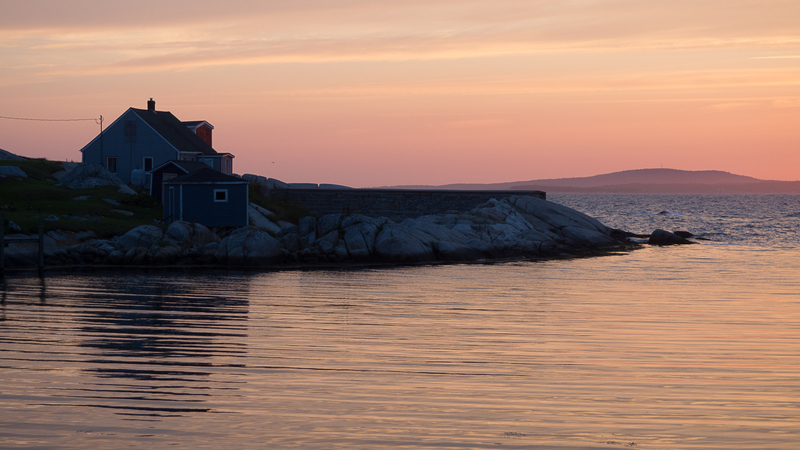 After our quick dinner, we drove into Peggy’s Cove, where we had rented our cottage for the week (off VRBO). The cottage is absolutely beautiful. It is an old Fisherman’s house, that has been around for many, many years. It was small, but absolutely charming and peaceful, and the perfect size for our family of four. 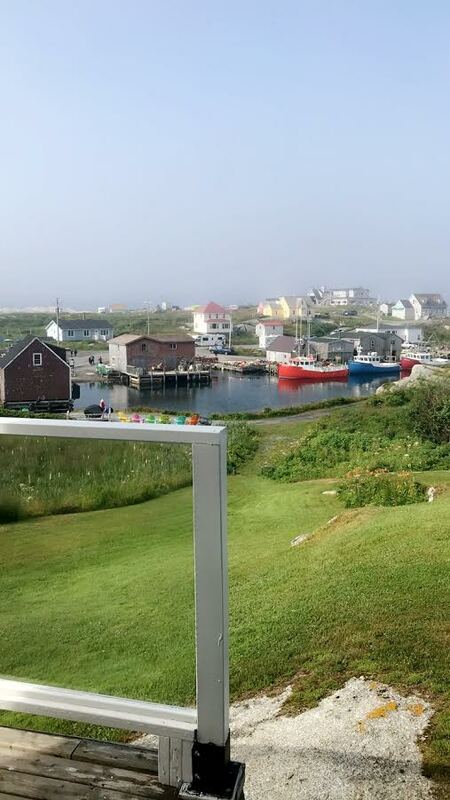 On Sunday morning, we had breakfast at Sou’ Wester, which is the only big “restaurant” directly in Peggy’s Cove (as we hadn’t gone out yet for groceries!). Typical bacon and eggs restaurant, but not something overly spectacular and I wouldn’t necessarily recommend for the quality of food or ambiance. 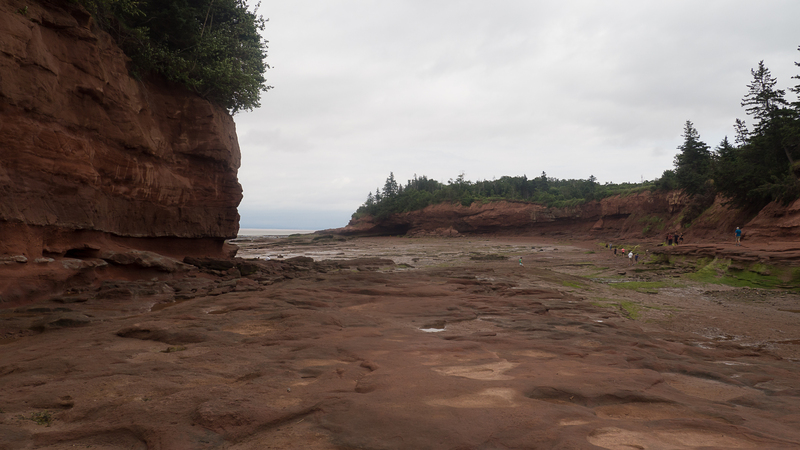 After breakfast, we drove to Tantallon (25 min. drive) to pick up groceries and drinks at NSLC (which is Nova Scotia’s version of LCBO… Nova Scotia Liquor Corporation). The drive to and from was absolutely STUNNING. 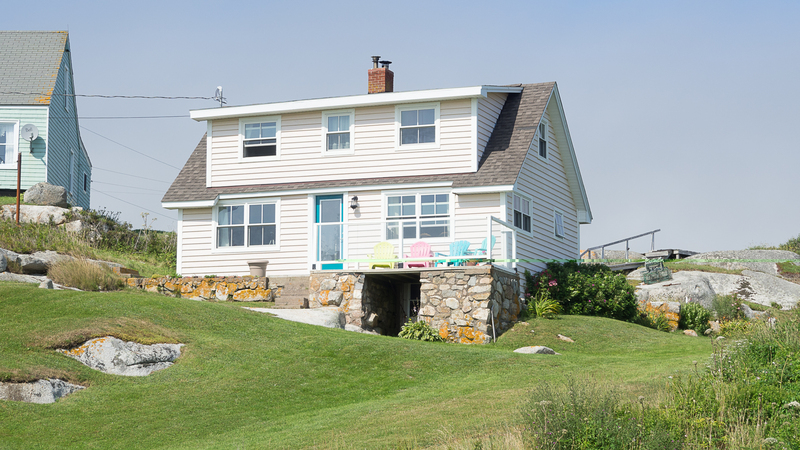 The waterfront views passing St. Margaret’s Bay, French Village and Glen Haven were particularly beautiful. For dinner, we went to a restaurant called Rhubarb, which is about a 5-minute drive from our cottage in Peggy’s Cove. Seasonal, fresh, and locally sourced is what their claim to fame is, and I have to agree. It did taste very fresh and the entire experience was lovely (including service). Would recommend checking it out if you are in the area! On Monday, my family headed into Halifax for the Alexander Keith’s Brewery tour, which is a highlight in Halifax. They really enjoyed it, however thought the end was a bit cheesy (men dressed up in costume, etc.). 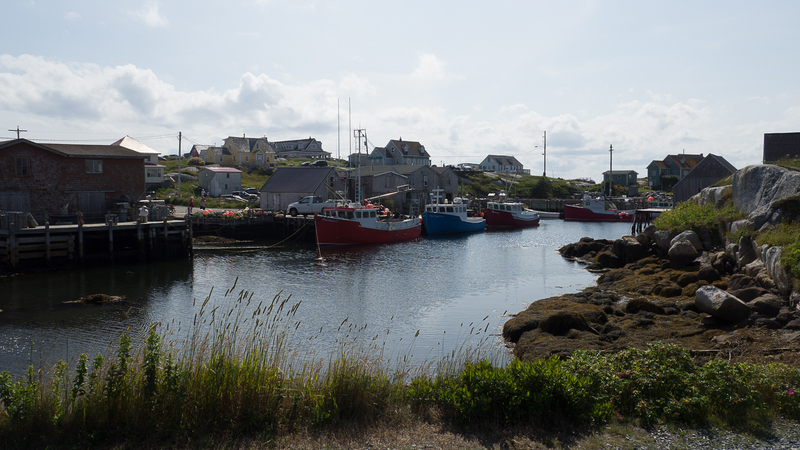 I stayed back, and had a relaxing afternoon exploring Peggy’s Cove. Peggy’s Cove is lovely and sweet, however very small. There isn’t a WHOLE lot to do there, however it is a great spot to stay for the scenery itself. There are roughly 10 shops which feature local art and crafts, jewelery, clothing, and gifts. The lighthouse, of course, is the main attraction in Peggy’s Cove, and there were many tourists around to see it each day. 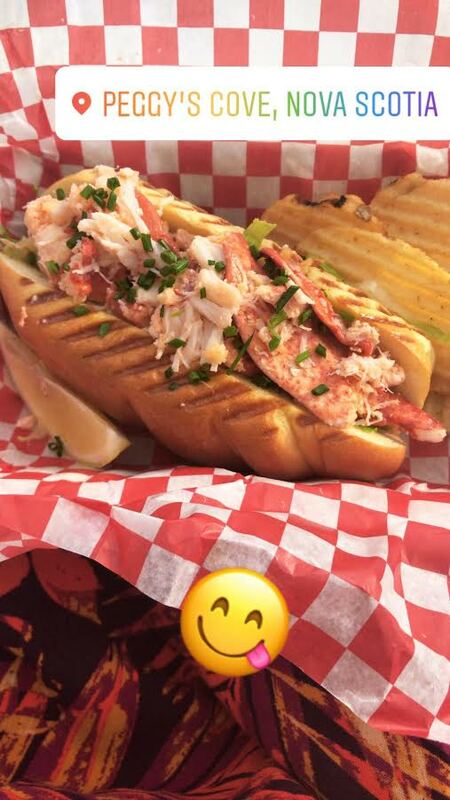 The BEST part about Peggy’s Cove is the little shop at the base of our cottage, which sells the BEST LOBSTER ROLLS! We tried many throughout our trip, however these take the cake. The shop is called Maritime Pasti Co. You have to try them! We decided to take a day trip to visit Lunenberg and Mahone Bay on Tuesday. The drive from Peggy’s Cove to Mahone Bay was roughly an hour and a half, and Mahone Bay was just a short drive from there (10 mins.) Lunenberg and Mahone Bay (it’s neighbour) are well-known for their colourful little homes and shops, and picturesque views. We spent the day along the boardwalk, watching the horse and buggy, and viewing some artifacts from the local Museum (such as a Whale’s Jaw… really puts things into perspective.) For lunch, we hit the Salt Shaker Deli. Although reviews were great, we didn’t have a great experience. Service was slow and lacking, they were out of multiple menu options, and the food was mediocre (I had mussels). This being said, they have a lovely patio with views to the waterfront. Mahone Bay had many quaint shops to browse though which were neat. 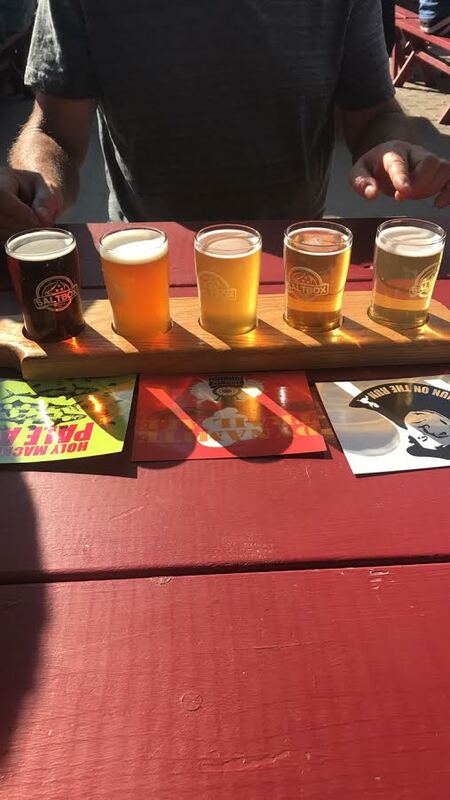 We went to the Salt Box Brewery (we’re on a theme today… ha-ha) and had a flight of beer. It was very small, and located on a Suburban street. I’d recommend checking them out! We spent Wednesday in Halifax! We spent some time in Scotia Square, which we thought was a mall, but turned out being more like The PATH in Downtown Toronto. Lots of small shops in underground office space. Anyways, we ended up at a Reitman’s, and not only did I get tons of clothes, but we had the best service experience. That’s one thing that really stands out about Halifax in my opinion. The people here are SO FRIENDLY and welcoming. It really amazed me that we never had one negative interaction. In Toronto, I feel people are usually so busy they walk right by you. In Nova Scotia, people smile at you, wave, and talk to you. It’s so nice to see. After the “mall”, we spent some time strolling the streets and the Boardwalk. I feel like you could (and we did) spend hours just walking along the Waterfront and browsing though local shops. 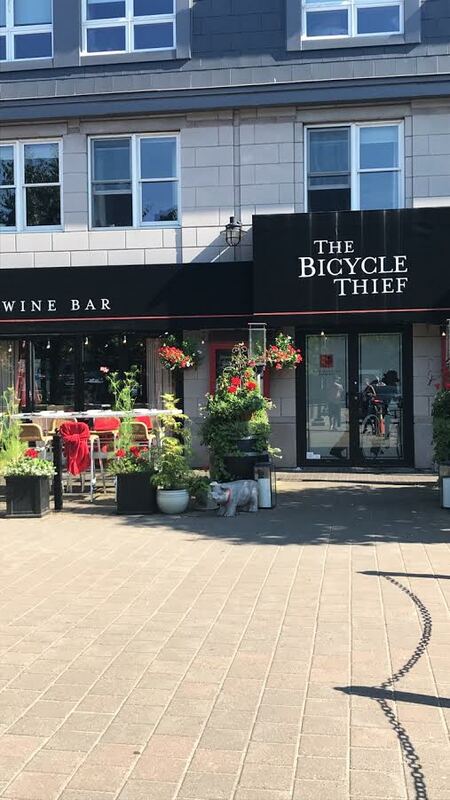 For dinner, we went to The Bicycle Thief, which is rated one of the Top 100 Restaurants in Canada by Canada’s 100 Best Magazine. The menu is creative Italian, with a heavy seafood influence. The ambiance and service were outstanding. The food itself was MEDIOCRE in my honest opinion (for a Top 100 Restaurant, anyway). I started with panko-crusted local scallops, with a turmeric and white wine sauce. They were DELICIOUS! I highly recommend. For dinner, I had pasta with NS Lobster in tomato sauce. Honestly, I found it to be very bland and flavourless. I definitely still think you should give this restaurant a shot, as the overall experience was fantastic (you will need a reservation!). After dinner, we did a “ghost tour” which was hokey, however a lot of fun. We walked (for about an hour and a half) with a guide (Andy) and 15 other tourists, while he told us ghost-stories about Halifax. It was not creepy in any way, however I did find the history and facts he talked about to be very interesting. This is a good option if you’re interested in learning more about the history of Halifax. OH TRURO, WHERE TO BEGIN? I hope this doesn’t offend anyone reading, but we had a dud of a day in Truro. About 2 hours driving, we headed to Truro Thursday morning to see the low/ high tide and walk on the ocean floor. I have to say, this was such a neat experience and it is something I’d recommend seeing. However, we waited 5 hours in Truro in between, and it was very boring. Not much to do. We did, however, walk through Victoria Park and see some beautiful waterfalls. If you are in Truro, eat at Bistro 22. It was fantastic. Small, bistro-style restaurant, with a condensed menu. I had a shrimp Panini with mac’n’cheese and it was really tasty. We waited to see the tidal bore, which was truly so boring. I wouldn’t expect too much hype if you do want to go see this! 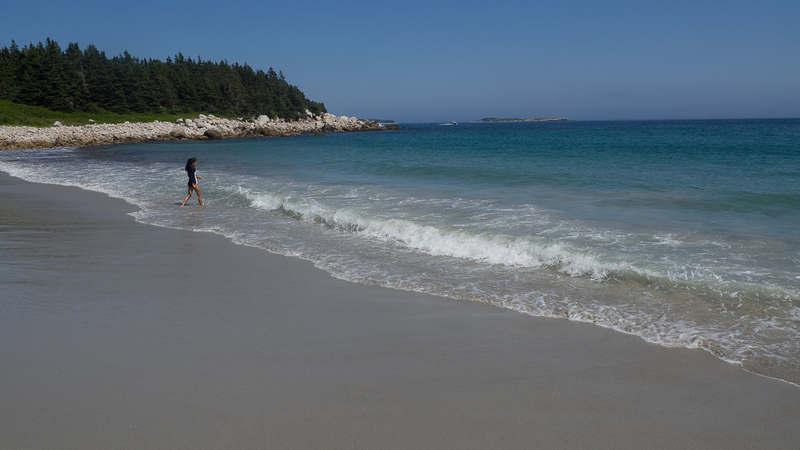 On Friday, we went to Crystal Crescent Beach for the day, which was lots of fun. Fairly close to Peggy’s Cove (40 min. drive), and beautiful, white sand right on the oceanfront. The water itself was FREEZING (it felt like an ice bath), BUT we still had a nice time. Afterwards, we went back into Halifax for dinner. We ate at Lot Six (also on Argyle St.) which is my favourite restaurant ambiance-wise. It is very dimly lit, with an open atrium along the dining room side. The bar is very long, and decorated with Edison lights. Our meals were all very tasty as well! Definitely recommend! TIME TO GO HOME! I have never been so sad to go home after a vacation, I have to say. On Saturday morning, we had my favourite meal of the week. 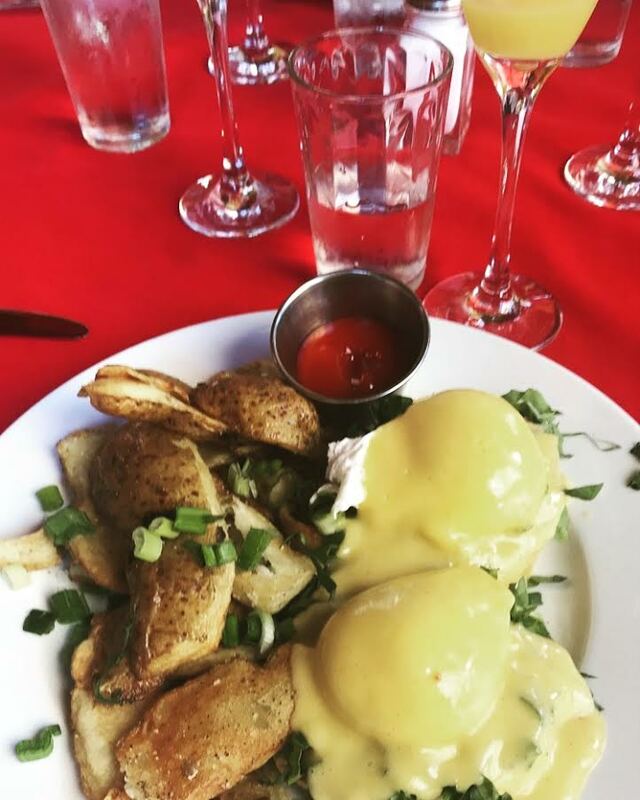 We went to Le Bistro by Liz for brunch and it was OUT OF THIS WORLD. It is decorated like an old French bistro, with fairy lights, red umbrellas, red checkered tablecloths, and plants. It is beautiful. I had a Florentine Benedict and you could tell the Hollandaise was a specialty of theirs. The potatoes were also very unique and had a home-made feel. Also, Le Bistro by Liz offers a complimentary Mimosa, Bloody Mary, or Bloody Caesar with each Brunch entrée. HIGHLY, HIGHLY recommend. Afterwards, we spent our afternoon at the Nova Scotia Casino (I left up by $50- wooohoo), and then headed to the Airport. All in all, we had a fantastic trip to Nova Scotia. 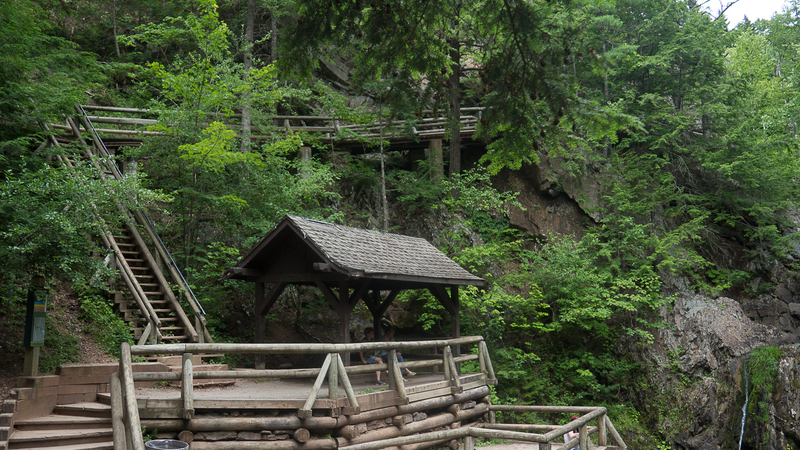 I hope you have a chance to check it out, as it truly is such a beautiful part of Canada. Let me know down below if you have been, and if so, any of your favourite spots. Enjoy your week! Previous Post How to Land the Job! Beautiful post giving us a view and story about another wonderful place on this Earth. There are so many I wish to see but nobody can see them all so we listen to each other.